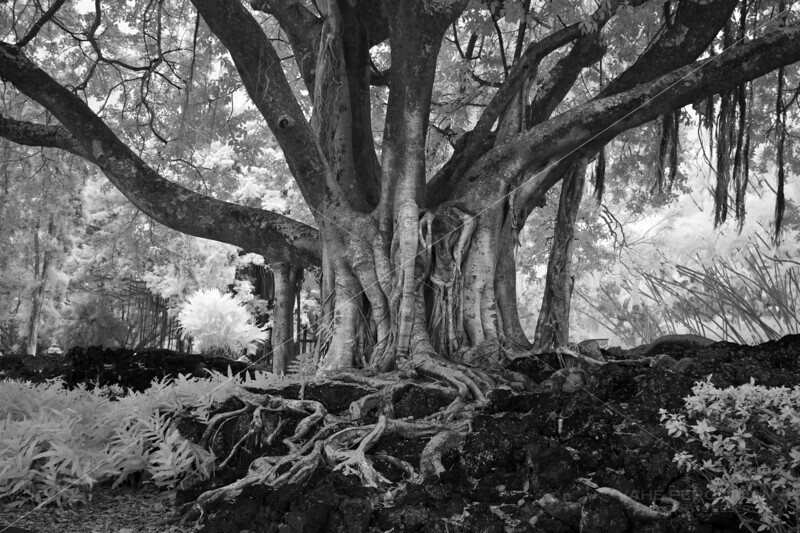 A Banyan tree at the Liliuokalani Gardens, Hilo, Big Island, Hawaii. Photographed January, 2011. Selected for the 2012 Photospiva exhibition (Spiva Center for the Arts, Joplin, MO), and a Nominee in the Nature category at the 7th Annual Black and White Spider Awards (2012).